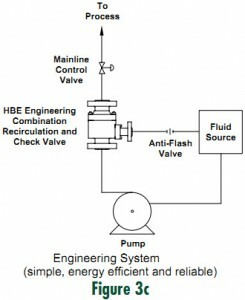 If you use centrifugal pumps for any liquid-boiler feed water, condensate, or process fluids, a significant investment has been made in the pump, driver and related controls. 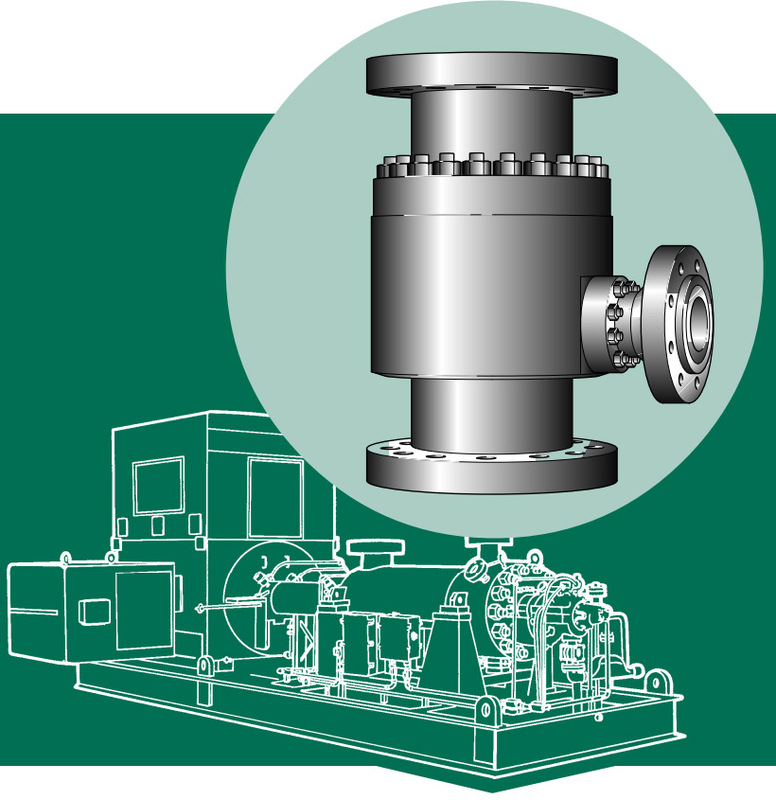 Minimum flow protection is vital upon pump start up and low demand conditions. 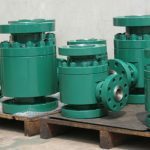 If reliable protection does not exist, the following unfavorable effects can interfere with the performance and reliable operation of the pump. 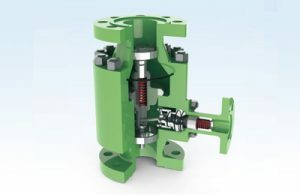 The liquid’s temperature will rise due to friction and hydraulic losses within the pump. 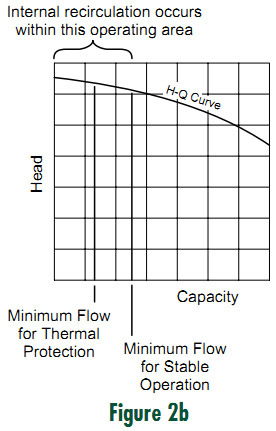 Figure 2a illustrates the temperature rise in relationship to the H-Q curve. 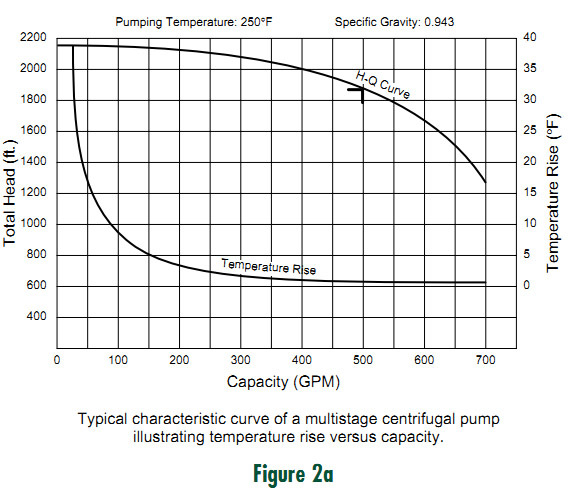 The curve indicates that at or near the best efficiency point, the temperature rise is minimal and not significant to the pump operation. 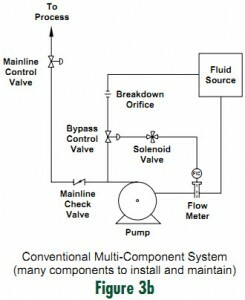 The process flow removes the generated heat from the pump. 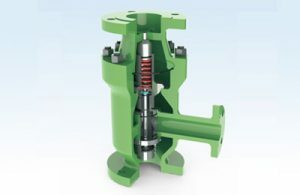 The temperature increases as the flow through the pump is reduced. 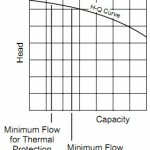 Frictional and hydraulic losses generate heat, while the quantity of fluid to which this heat is transmitted is reduced. The rise in temperature results in the formation of vapor. 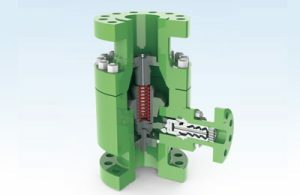 The elevated temperature / vapor pressure of the liquid results in problems ranging from damaged seals and bearings to complete failure of the rotating elements. 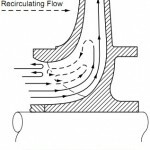 Internal recirculation within the pump, often termed incipient recirculation, can cause a form of cavitation leading to impeller damage. 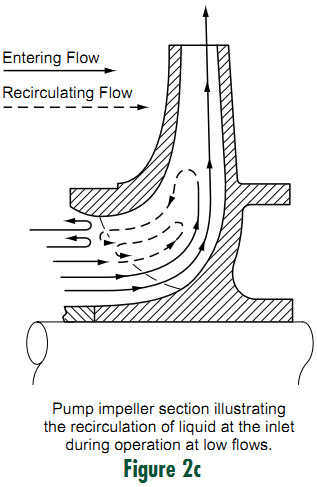 Internal recirculation is illustrated in Figures 2b and 2c. 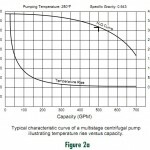 High specific speed pumps have power curves which rise as the flow reduces. If adequate flow is not maintained, motor overload will result. 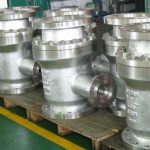 Cast valve body, material: carbon steel or stainless steel etc. Bypass maximum operating pressure differential up to 4 MPa. 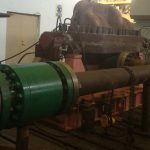 Pressure CL150# – 400#, size1’’ – 16’’. Forged steel body, material: carbon steel or Stainless steel etc. differential up to 6 MPa. Pressure CL150# – 600#, size1’’ – 20’’. 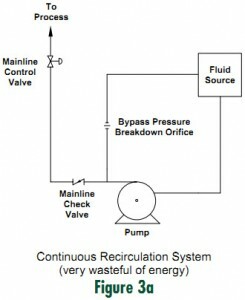 Manual bypass operation is optional. velocity, suitable for high pressure conditions. differential up to 30 MPa. Pressure CL150# – 2500#, size1’’ – 20’’. © Datian Valve Pipe Engineering Co.Ltd.. All rights reserved.